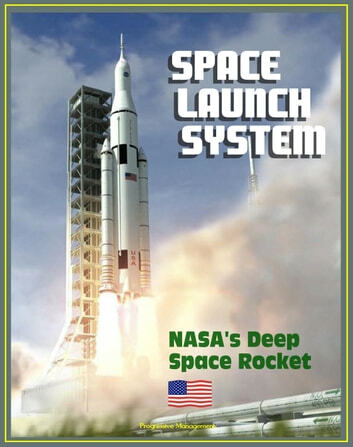 This is an essential guide to NASA's next manned rocket for deep space exploration, the Space Launch System (SLS), which was authorized by Congress after the cancellation of the Ares rockets of the Constellation program. In the Block 2 configuration, the rocket will be larger than the famous Saturn V moon rocket. 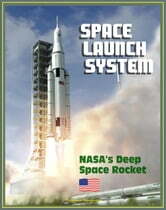 Coverage includes: vehicle configurations (Block 1, 1A, and 2); RS-25D engine (the Space Shuttle Main Engine); SRM; ground systems development and operations program including the Crawler-Transporter (CT); Mobile Launcher (ML); J-2X engine; exploration systems development status; exploration test flight previews; affordability implementation; progress reports; SLS driving objectives; NASA 90-day report to Congress on the SLS and Orion Multi-purpose Crew Vehicle; the Michoud Assembly Facility (MAF); and the Advanced Booster program. The Space Launch System will provide a safe, affordable and sustainable means of reaching beyond our current limits and opening up new discoveries from the unique vantage point of space. The first developmental flight, or mission, is targeted for the end of 2017. The Space Launch System, or SLS, will be designed to carry the Orion Multi-Purpose Crew Vehicle, as well as important cargo, equipment and science experiments to Earth's orbit and destinations beyond. Additionally, the SLS will serve as a backup for commercial and international partner transportation services to the International Space Station. The SLS rocket will incorporate technological investments from the Space Shuttle Program and the Constellation Program in order to take advantage of proven hardware and cutting-edge tooling and manufacturing technology that will significantly reduce development and operations costs. The rocket will use a liquid hydrogen and liquid oxygen propulsion system, which will include the RS-25D/E from the Space Shuttle Program for the core stage and the J-2X engine for the upper stage. SLS will also use solid rocket boosters for the initial development flights, while follow-on boosters will be competed based on performance requirements and affordability considerations. The SLS will have an initial lift capacity of 70 metric tons. That's more than 154,000 pounds, or 77 tons, roughly the weight of 40 sport utility vehicles. The lift capacity will be evolvable to 130 metric tons more than 286,000 pounds, or 143 tons -- enough to lift 75 SUVs. This architecture enables NASA to leverage existing capabilities and lower development costs by using liquid hydrogen and liquid oxygen for both the core and upper stages. Additionally, this architecture provides a modular launch vehicle that can be configured for specific mission needs using a variation of common elements. NASA may not need to lift 130 metric tons for each mission and the flexibility of this modular architecture allows the agency to use different core stage, upper stage, and first-stage booster combinations to achieve the most efficient launch vehicle for the desired mission. The new vehicle is designed to be flexible and evolvable for crew or cargo missions. Lessons from previous programs have been incorporated so the system is safe, affordable, and sustainable to advance human exploration of space.